Rules & regulations for each category. 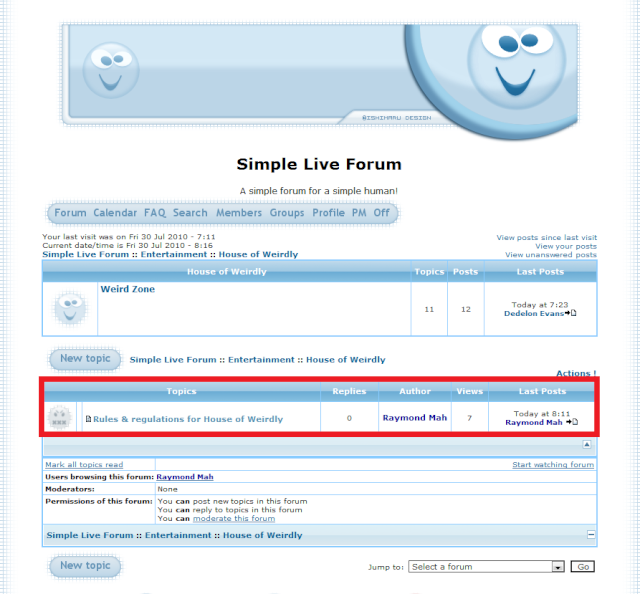 A simple forum for a simple human! Take a look of it before you posting. All categories are attached with a topic of 'Rules & Regulations' which contain difference rules and regulations.